Our Finance Experts are ready to go to work on your behalf. We have experience relating to all credit situations from good credit, to bad credit, no credit, and even those who have had bankruptcies and consumer proposals in their past. A process designed to be simple and as easy as possible, to get you the vehicle that suits your needs and your budget. Our team will work with you directly and handle all communications with the financing on your behalf, to work through the requirements that will allow you to Drive It Now!? If you have had troubles in the past, you may find it difficult to obtain financing for a new or used vehicle. 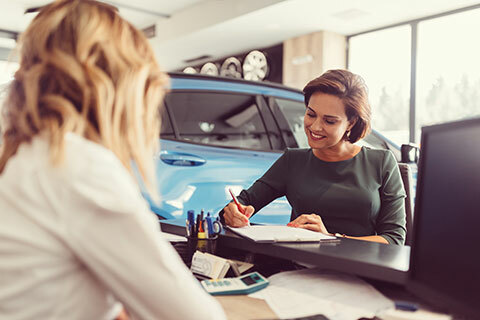 With Drive It Now, you can get the bad credit car loan that you need to get on the road in the car you have been searching for. Our finance experts work closely with all clients through the application process to ensure that you can get the loan that you need. Whether you have gone through a recent bankruptcy, divorce or debt consolidation, we can help you apply for a loan and get you approved fast. What to bring in for your approval is two recent paystubs and a drivers license. We even handle customers who receive income only through cash or tips. Let us help.